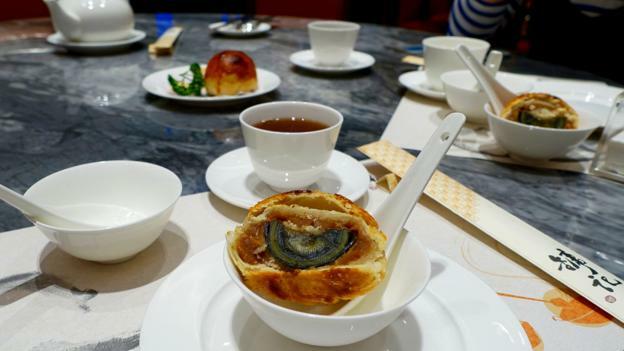 Hundreds of years ago, a savoury idea – called the century egg – was hatched in rural China. As the story goes, a farmer found naturally preserved duck eggs in a muddy pool of water and slaked lime (a type of calcium hydroxide). 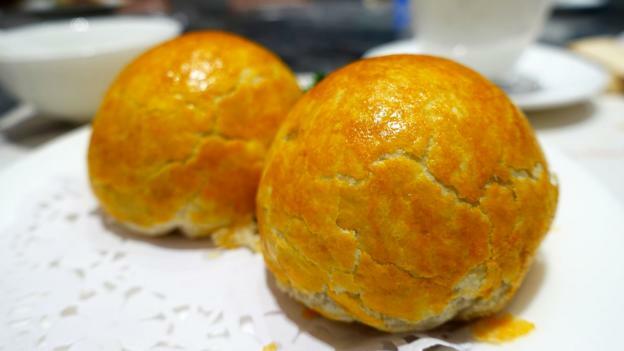 After surviving a tasting, he set out to replicate them manually, resulting in a delicacy that would endure for centuries as a comfort food in Hong Kong, China and parts of Southeast Asia. Getting beyond the egg’s appearance is the first challenge. Instead of being white with bright orange yolks, these jelly-like delicacies take on a less appetizing dark brown and swampy green hue. There’s also a pungent ammonia-like odour to contend with, which has earned the snack yet another nickname: the “horse urine egg”. Appearances side, many children grow up eating this dish and learn to love the taste. 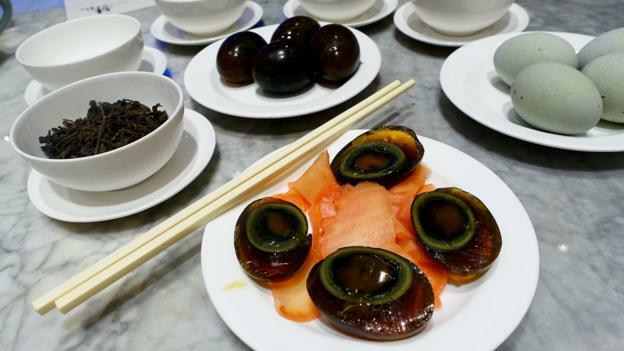 While century eggs were made by farmers and villagers for hundreds of years, they started appearing on menus in Hong Kong when a handful of renowned Chinese chefs fled to the city in the 1940s during the Chinese Civil War and brought regional dishes with them. 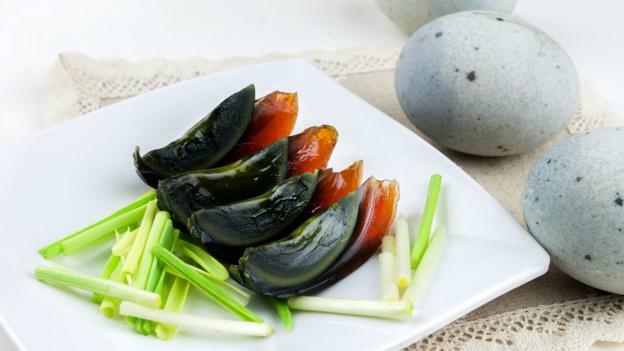 An ideal century egg has a proportionally large egg yolk, still greenish-yellow, runny and surrounded by concentric rings of brown, green and navy blue. The colours indicate the different stages of transformation – and the bigger and runnier the yolk, the better. Because of the unpleasant odour, the taste is then totally unexpected. The egg is surprisingly creamy, velvety and succulent. When eaten with the slices of the pink ginger, the sweet and spicy flavour adds another element to the dish that refreshes the palate between bites. The egg is surprisingly creamy, velvety and succulent. Century eggs are eaten throughout the day – with breakfast, for dinner or as a snack or appetiser – and oenophiles are adamant that they pair beautifully with full-bodied Bordeaux wine or bubbly champagne. 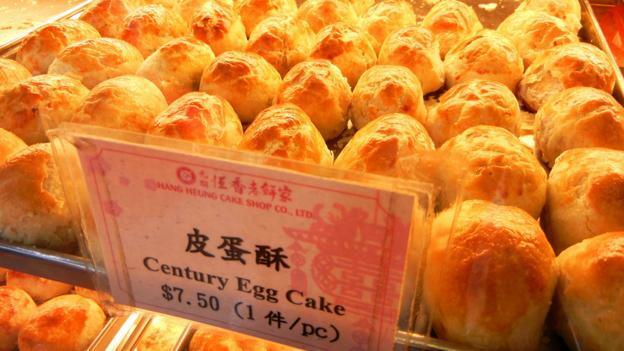 The eggs are also baked into pastries. 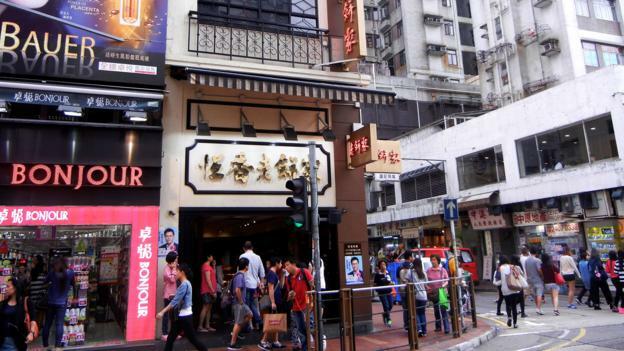 Opened in 1920 as a dim sum restaurant, Hang Hueng has garnered a following for their version of the eggs, wrapped in a golden-brown crust. The relatively simple recipe – using a century egg, pickled ginger, puff pastry dough and bean paste – has been the same for as long as Hang Hueng has been in business, with each sifu, a skilled tutor or worker, passing down the techniques from generation to generation. The result is a crispy and buttery pastry shell with a soft, flavourful egg inside. The most critical part of the process is choosing the right egg, one that’s not too hard or too soft. 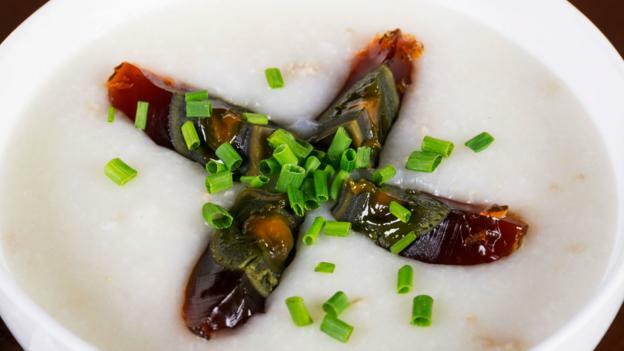 While the century egg draws a following from older generations and curious travellers, the eggs have fallen out of favour with the younger set who are weary of China’s preserved and fermented foods. Additional reporting by Chan Sin Yan. Следующая статьяWere these remote, wild islands the centre of everything?